Mayor Stan Henry presented a proclamation to the Mary Pickford Theatre team including Owner Michael Tumanjan, D’Place Entertainment President Damon Rubio, and General Manager Ted Hane for their work on bringing solar power and energy battery storage technology to the theatre. The first-of-its-kind mass production power source for a theatre in the state of California and possibly the nation, the Mary Pickford Theatre now generates nearly 100% of the power it uses through solar panels and captures the excess energy from the panels to power the theatre after sunset. All City Councilmembers were present to dedicate September 21, 2018 as the “Flip the Switch Day” towards green power at the Mary Pickford Theatre. Not only is the system saving the theatre more than $100,000 per year on its electrical costs, but it also lowers its carbon footprint by not utilizing fossil fuels for its energy needs that can lead to air pollution and climate change. You can now enjoy “solar powered popcorn” as Assemblymember Eduardo Garcia stated at the beginning of his speech at the event. To learn more about this impressive technology and what the theatre has achieved, CCTV Host Conrad Angel Corral sits down in this video with Aeterna Energy President Ron Harris and D’Place Entertainment President Damon Rubio to discuss this green power venture at the Mary Pickford Theatre, here in Cathedral City. After nearly seven years away, “The Works Floor and Wall” has left Palm Springs and returned to Cathedral City opening a beautiful and expansive 7,500 square-foot luxury showroom in the Cathedral City Gateway Plaza Shopping Center at 69048 E. Palm Canyon Drive (corner of Date Palm Drive and HWY 111). With one of the most expansive libraries of flooring, counter tops, and tile, this one store is a location not to be missed for your home design needs. “The Works Floor and Wall” has made selecting your designs so simple by implementing their own technology that allows the consumer to scan and find out all the details about their products. In fact, their system allows you to pick any wall tile design with multiple colors and take just one color from it to create flooring and/or counter tops that match. Best of all, you can do it all from your own smartphone or Ipad. On January 27, 2018, the City Council held a Planning and Goal Setting Workshop to establish objectives for 2018. It is the council’s philosophy to clearly establish goals and priorities in order to effectively implement those goals by City staff. Many of the goals identified by the City Council can be achieved with existing resources; however, in cases where additional resources are required, the need was addressed through the budget development for this fiscal year. Downtown Cathedral City is attracting new gourmet restaurants designed for the sophisticated palate. Near the corner of Cathedral Canyon Drive and East Palm Canyon Drive (HWY 111), a new restaurant opened this past weekend called, “Beyond Balisage,” in the Canyon Plaza Shopping Center and opposite of Revivals at 68-327 E. Palm Canyon Drive. Chef Daniel Villanueva moved his Mediterranean restaurant from Palm Springs to Cathedral City to offer his gourmet signature seasonal dishes such as Lamb Kleftiko, Chicken Pastilla, and Spiced Duck Breast. He also offers a fresh selection of starters, such as salads and baked dates, as well as tasty desserts including Baklava, Fig Cake, and Rosewater Ice Cream. Beyond Balisage is open Tuesday through Saturday for dinner only beginning at 5:00 pm to 10:00 pm with the last seating at 9:00 pm. Reservations are highly suggested by calling (760) 699-8536. Beyond Balisage also offers full catering services. For more information, go to www.beyondbalisage.com. Enjoy! CCTV Host Conrad Angel Corral interviews ACE Hardware Owner Mike Reinhardt about the store’s recent opening and what products and services are offered. You will discover that ACE Hardware is all about friendly service and community support. ACE Hardware was the first business to sign a Local Hire Agreement with the City to attempt to hire Cathedral City residents first before extending their employee search elsewhere. And they did just that with the hiring of 18 employees with 16 of the 18 team members being Cathedral City residents. This alone helps keep income dollars in Cathedral City in order to help support other businesses like restaurants, retailers, and other service-oriented companies. Most importantly, the Cathedral City Ace Hardware is considered a “Super Store” for the ACE brand. With over 14,000 square feet, they have a great selection of outdoor furniture, BBQs and supplies, the best selection of Stihl and Craftsman Tools in the Valley, paint supplies, household items, and of course, hardware. Do not worry about walking aisle after aisle in search for help, a common occurrence associated with larger big box home improvement centers, ACE Hardware has the staff on duty to help you with small and large home improvement projects. ACE is all about service. Additionally, ACE Hardware fixes things for you at their “Helpful Hub” including broken window and door screens, jammed door locks with a broken key, as well as dull knives and scissors that need to be sharpened. You can even pay your phone or utility bill at their registered pay center. They make it easy. 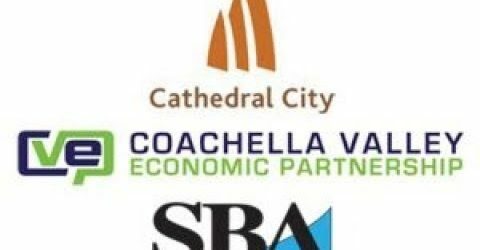 Thanks to a partnership with the City of Cathedral’s Economic Development Department, the Coachella Valley Economic Partnership (CVEP) and the U.S. Small Business Administration, a new video is available for you to learn how to finance your new or existing business venture. One of the main obstacles for starting a new business or expanding a current business is to get the “seed money” necessary to purchase equipment, make tenant improvements, and buy inventory. This video takes you into the classroom to learn from the experts on the process of getting a loan and government programs that can help in securing a loan. The video is about an hour in length, but it allows you to stop, rewind, and fast forward to the parts you need to know the most. Congratulations to Cathedral City’s Environmental and Conservation Manager Deanna Pressgrove and S.C.R.A.P. Executive Director Karen Riley for winning the Southern California Associations of Governments’ (SCAG) Sustainability Award for Active Transportation. This program incorporates art, recycling, and providing the tools necessary for our residents to utilize modes of transportation that do not require fossil fuels that lead to climate change. The SCAG Sustainability Awards are the region’s highest honors for projects that promote and improve mobility, livability, prosperity and sustainability in Southern California. 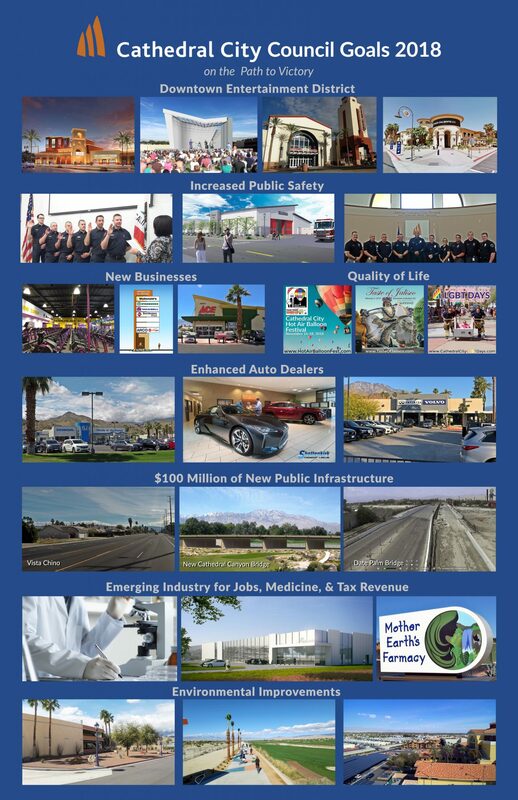 These plans and projects are integral to carrying out the goals and policies of SCAG’s 2016-2040 Regional Transportation Plan/Sustainable Communities Strategy, and promote a cleaner, healthier and happier Southern California. Cathedral City and S.C.R.A.P. Gallery were honored for the Cycle Cathedral City Bicycle Outreach and Education Program. The program educates and empowers students and residents for bicycle use. The year-round project encourages residents to use more active transportation for their health and environment. Goals set for the program are to encourage biking, provide opportunities for students and residents to get more exercise, recycle donated and salvaged bikes and encourage community and student leaders to make sustainability a priority. SCAG is the nation’s largest metropolitan planning organization, representing six counties, 191 cities and more than 18 million residents. SCAG undertakes a variety of planning and policy initiatives to plan for a livable and sustainable Southern California now and in the future. For more information about SCAG’s regional efforts, please visit www.scag.ca.gov. Cathedral City continues to expand the number of auto dealers with the latest addition of the Infiniti Palm Springs (www.infinitipalmsprings.com) dealership moving from Palm Springs to 67615 East Palm Canyon Drive in Cathedral City. The dealership is located across from Trader Joe’s and Target in the Canyon Plaza North Shopping Center. The Infiniti dealership shares its new home with Volvo Cars Palm Springs. Cathedral City offers more selection of models and more brands to choose from when purchasing a new car in the Coachella Valley. Welcome Infiniti Palm Springs to Cathedral City!